The ECCEROBOT project is a spin-off of the CRONOS1 project conducted at the University of Essex. The goal of this project was to investigate machine consciousness through internal modelling. For this purpose the first anthropomimetic robot torso was built (see figure on the right). 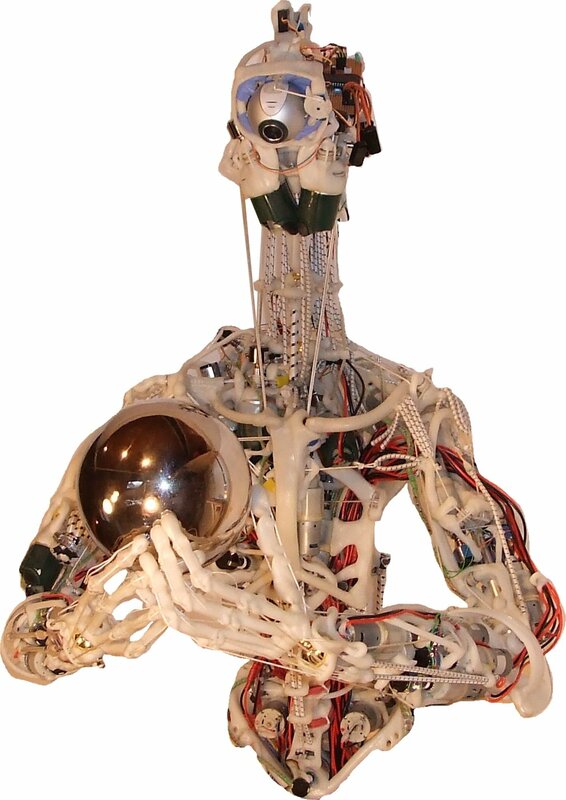 Within the ECCEROBOT project we will further enhance this torso, develop a controller for it, and investigate the development of human-like cognitive abilities. The following subsections explain the robot setup.